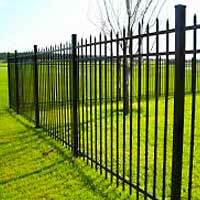 Seacoast Fence & Home Company offers chain link fence in all gauges for residential and commercial installation. In addition to the common variety, you can choose chain link that is galvanized, vinyl coated or made in just about any color you can think of. Call us to get a quote on a chain link fence with your specific options. 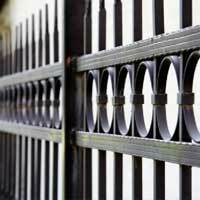 All of our gates are custom made to meet your unique needs. We build standard gates, cantilever gates and v-track gates. We also install operators for automatic/remote controlled gates. Note that a bottom cable comes standard with all of our chain link fencing. Most people have the same stark image of chain link fencing, however, today we can offer you a variety of color options or you can opt for a vinyl coating. We will gladly go over the options with you to create the fence design that is perfectly suited for your home or business. Dependability – Chain link is one of the hardiest fence types available. It will withstand the elements for years and years and no maintenance is required. 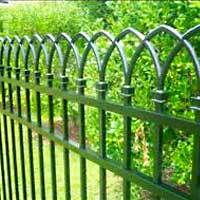 Design Compatibility – Chain link is a basic fence type that works with a variety of landscapes. Customizing with the available options is an ideal way to make chain link fencing even more suitable for residential and commercial use. Cost – Chain link is maintenance-free fencing. The fact that there are no pickets to replace and no painting means you will save money for the life of your fence. 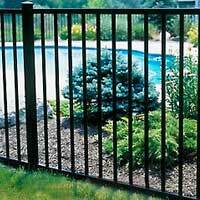 If you are searching for a good-looking, long-lasting fence and privacy is not a requirement, an ornamental aluminum fence might be ideal for you. 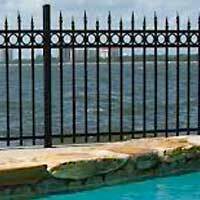 We offer a wide variety of styles spanning from municipal code-compliant pool fencing to large custom-gated barricades. Aluminum has proven to be a long-lasting fencing material that can withstand the harsh salt conditions here in Florida. 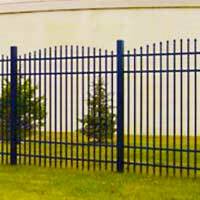 Seacoast Fence & Home company also provides ornamental steel fencing, which is typically installed in commercial or industrial settings. Our custom Ornamental Steel and Aluminum gates will make your home or business stand out from the rest. As part of the customization, we can design a cantilever, v-track or swing gate to accommodate all of your needs. Don’t forget that we also install operators for automatic/remote controlled gates. A wide variety of styles, colors and ornamentation are available. We will gladly go over all the options with you to create the fence design that is perfectly suited for your home or business. 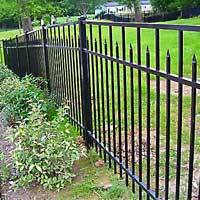 Dependability – The fact that aluminum fencing does not rust makes it an extremely long-lasting fencing option. Even the harsh heat and salt conditions of our area won’t compromise the integrity or diminish the beauty of a custom aluminum fence. No Painting – Aluminum has a baked-on finish so it never needs to be painted. 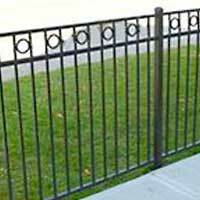 This saves you money while it adds years and years to the like-new beauty of your aluminum fence. Design Compatibility – Metal fencing can blend with any landscape and the commonly used black finish is a great complement to any building or home. The extreme variety of options guarantees that you will be able to assemble an ideal design. Cost – Compared to iron, aluminum does not have to be custom manufactured so the cost is dramatically reduced. The fact that you will never need to paint your aluminum fence is a major money saver. 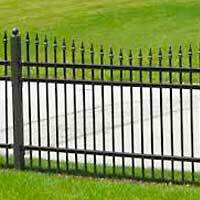 Aluminum fencing also comes with excellent warranties so installing one carries few financial risks for you should something go wrong. For all your Chain Link or Metal Fence company needs in the Greater Jacksonville and St. Augustine Florida, call 904.274.4700 or use the contact form for your free estimate.